Regular cleaning of rugs extends their life by removing soiling which over time can dull the colours and appearance of a rug. Our experience dealing with fine, antique fabrics for leading antique textile dealers such as Joss Graham underlines our commitment to fine fabric care. 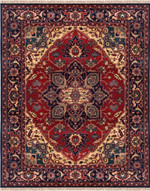 We specialise in the cleaning of all types of oriental & persian rugs. A regular maintenance program extends the life and the appearance of your carpet and rugs. We advise regular vaccuuming of rugs to prevent permanent soiling from dirt.